Flat-pack displays with flight cases. 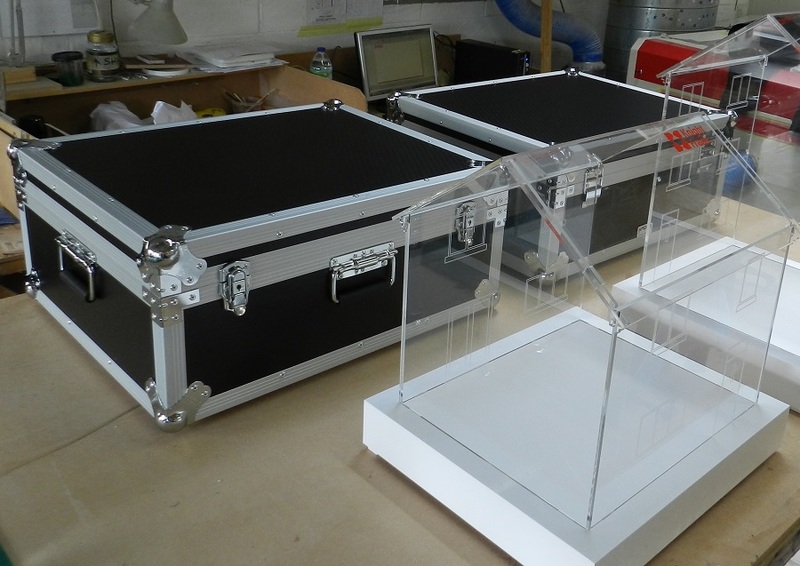 This is the third time we’ve made a set of clear Perspex houses for global real estate consultants Knight Frank. The models are used at promotional events around the country where they are filled with varying items and the public are offered the opportunity to win prizes by guessing the quantity inside the house. The models can be flat-packed into the flight cases (shown in one of the pics above) for shipping to different venues and can then be easily assembled on site – the walls and roof panels simply slot together. The windows are laser-engraved, as is the Knight Frank logo which was then coloured by inlaying red paint.